Wild and Woolly is located physically at 116 Lower Clapton Road, London E5 0QR, and online at https://www.wildandwoollyshop.co.uk. This information is stored in MailChimp’s database as they handle the Wild and Woolly News distribution. We rely on their confirmed compliance for this, and check it regularly. If you log into the website you will be able to leave comments on the site. Every time you leave a comment, we collect the data shown in the comments form and your computer’s IP address and browser user agent string so that we can identify it as coming from a real person and not a spam robot. In order for the interactive elements of the site like the shopping cart and the comments facility to work, the website needs to set a cookie for each visitor. A cookie is a small text file stored by your browser that is used to hold information related to your visit to our website. It may include shopping basket items and data that help us analyse web traffic. Cookies allow web applications to respond to you as an individual. The web application can tailor its operations to your needs, by remembering information about your browsing journey. We also use the information collected from these cookies to analyse the way people use the website. The cookies collect information in an anonymous form, including the number of visitors to the site, where visitors have come to the site from and the pages they visited. They enable us to monitor which pages you find useful and which you do not. This information helps us compile statistical reports. It is then removed from the system. Overall, cookies help us provide a more functional website. A cookie in no way gives us access to your computer or any information about you, other than the data you choose to share with us. You can accept or decline cookies. Most web browsers automatically accept them, but if you prefer you can usually modify your browser setting to decline cookies. Please be aware that this may prevent you taking full advantage of the website. If you enter your email address in the newsletter subscription form, we will pass it onto Mailchimp who provide the Wild and Woolly News distribution system. If you choose to buy products from the Wild and Woolly online shop, we will pass on your email address, physical address and items to be purchased, to Paypal.com to process the payment for the products. If you buy a Ravelry pattern from the shop, we will pass on your email address to Ravelry.com so that they can send you a digital version of the pattern. If you browse the website, we collect anonymised data about your browsing journey which is subject to analysis by Google Analytics, a Google service that provides us with useful statistical analysis of our website audience. All customer orders are electronically stored on a webserver hosted by GreenNet Ltd which is physically located in north London. This server is physically accessible by GreenNet technicians, and is accessed electronically by Wild and Woolly staff using encrypted connections to the internet. No payment card data is ever collected by Wild and Woolly. All card payments made by online shop customers, are handled and processed by Paypal, which is a wholly separate legal and technical system. Its security prevents any sharing of any of these details with Wild and Woolly or any other third party. Information relating to orders from our suppliers, is stored in paper format and we store this for as long as necessary for accounting and record keeping purposes. Normally we will not destroy this paper or electronic information unless we are notified that it should no longer be kept. 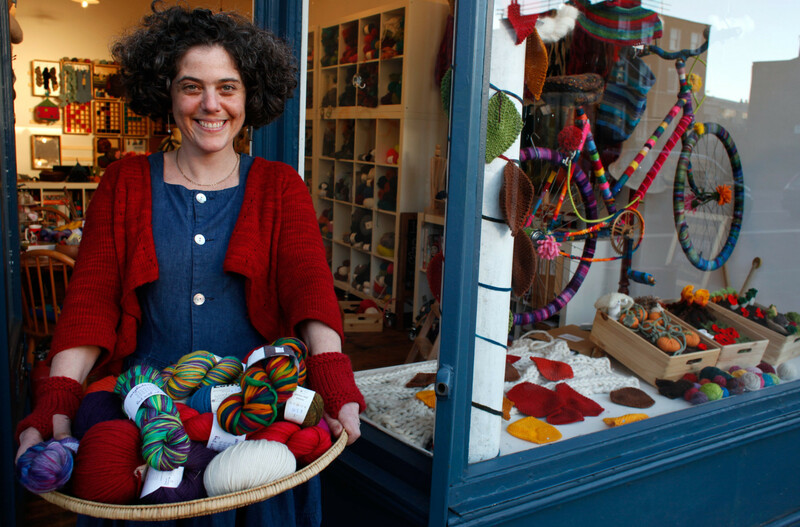 For privacy-specific requests or concerns, please contact Anna Feldman by telephone on 020 89855231 or by email on dataprivacy@wildandwoollyshop.co.uk. Access to the server that hosts the Wild and Woolly system, is subject to computer systems which have anti-virus and malware protection measures, and back-up facilities. No past order information is passed onto anyone other than the specific customer to whom it belongs.